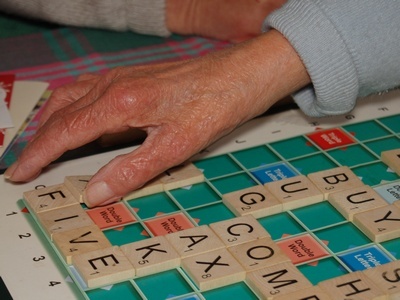 ‘Thursday Morning’ in Honiton Methodist Church provides a meeting place for conversation, games, crafts, coffee and biscuits. All are welcome. We meet every Thursday, 1000-1200. 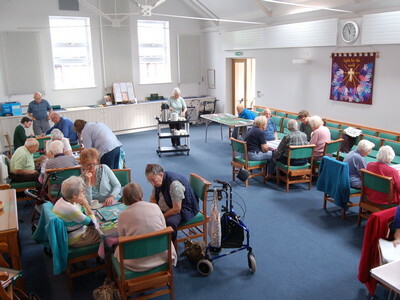 One table is for those who like to knit and natter. 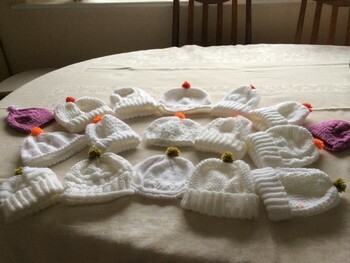 These little hats are for babies in the maternity ward of The Royal United Hospital in Bath. The pompoms are colour-coded. “Does it go here, perhaps?” – a 1000-piece jigsaw take several mornings to complete. This game’s called Rummikub. 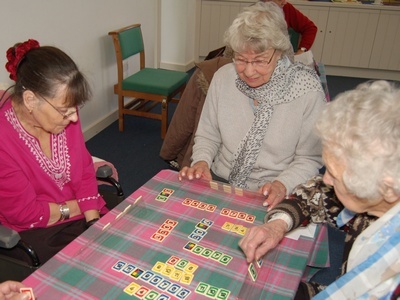 It’s a bit like the card-game Rummy, but with tiles rather than playing cards. 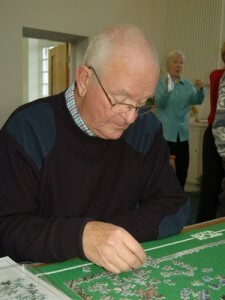 It takes a lot of concentration. The Scrabble players don’t keep the score – playing quickly while keeping the conversation flowing is the objective. This is Tony, who had the idea for ‘Thursday Morning’ back in 2009. 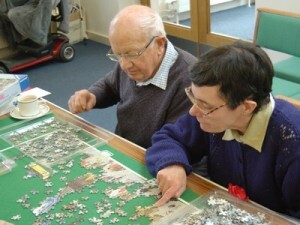 He saw it as a kind of ‘youth club for oldies’. For some of our visitors, it can be important to talk to someone who’s good at listening. We try and give them time and attention.